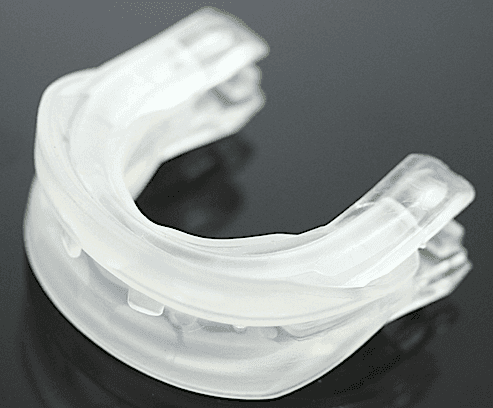 SnoreRX and PureSleep belong to the mandibular advancement device (MAD) group. The design forces your jaw forward, which opens up your airway to allow you to breathe while asleep without snoring. You wear both the SnoreRX and PureSleep inside your mouth. MADs generally require boil and fit to customize them to your mouth. Some, like the SnoreRX, have a Flex Jaw or other method to adjust the fit after the boil and bite process. The PureSleep comes in two parts: an upper piece and a lower piece. You use boil and bite and, since there is no after-fitting adjustment mechanism, you must be careful to ensure a proper fit the first time. Like the SnoreRX, there are lots of crevices and nooks to clean. The ordering process took longer than expected. The company requires a 21-question form answered before they will ship the product. That was okay with me as at least it shows they have an interest in ensuring the user has no medical conditions that result in problems while wearing it. It took two weeks though after submitting the form and my money, which was a bit annoying. We took care during the fitting process to get it right since there are no adjustable features on this device. My wife’s mouth was a bit sore the first four nights, but after that, her mouth must have gotten used to the device and she felt fine. My son reported no snoring sounds coming from our room when we used the device. The cleaning process required much more effort than many other anti snoring devices. Though we eventually got used to it, we still needed to allot a bit more time than usual for cleaning each morning. Despite the odd look due to its technology, specifically the Flex Jaw, the SnoreRX fits comfortably inside your mouth. The Flex Jaw lets you adjust it in very small 1 mm increments to obtain the best fit possible. One result of the technology is a lot of crevices and crannies, requiring a thorough scrubbing each morning to ensure it gets clean. My wife and I took our time during the fitting process as a good fit makes a real difference in our previous experiences with MADs. Though I carefully adjusted mine with the Flex Jaw, I awoke with a slightly sore jaw the next morning. A slight mm adjustment fixed the problem on succeeding mornings I felt fine. The SnoreRX kept us from snoring. My son had no complaints of being kept awake from snoring coming from our bedroom. My wife and I both awoke refreshed each morning and neither of us was awoken in the middle of the night by the other making noise. The cleaning took quite a bit of time and getting used to as you have to carefully brush it everywhere to ensure no bacteria grows. After the first few mornings, we became more adept at it and it only took a few minutes. My wife and I had a better overall experience with the SnoreRX. The cleaning and fitting process, including the ability to adjust it after the boil and bite, made the experience more enjoyable. Both devices, however, stopped our snoring so both work! 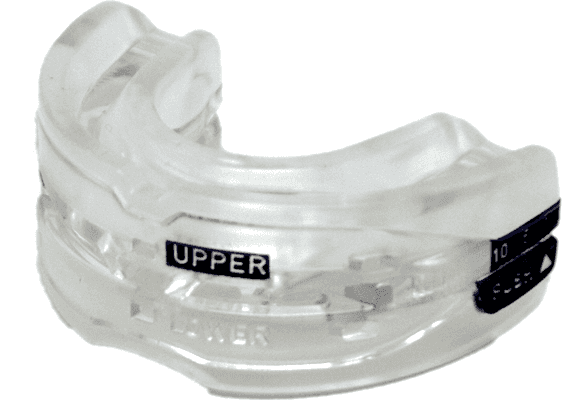 If you purchase either mouthguard, make sure to use a SnoreRX coupon or PureSleep Coupon.